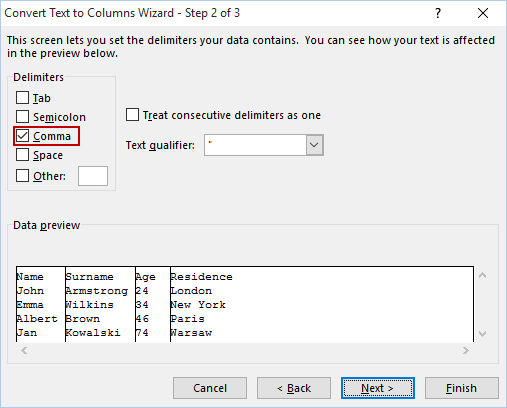 There is an Excel tool that converts text to columns taking data from a single column and splitting it into multiple columns. But you won’t find a similar tool which converts text to rows. If you want to achieve this you have to do a trick. In order to convert text to rows, first, you need to convert text to columns. 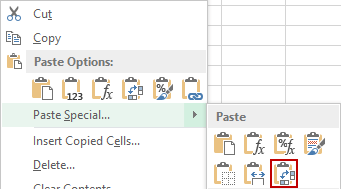 Select data from A1 to A5 and choose DATA >> Data Tools >> Text to Columns. In the first step choose Delimited and click Next. 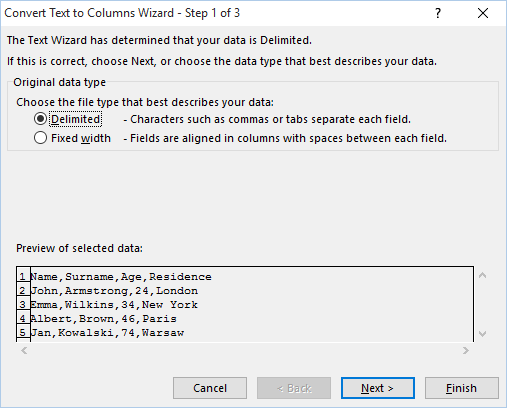 In the second step in the Delimiters, choose Comma. Under the Data preview, you can see how your data will look like. Now, what you need to do it to select data from A1 to D5, copy it and right-click in a place where you want the new data to be pasted. But instead of using normal pasting use Transpose. This is how your data will look like after applying some formatting.